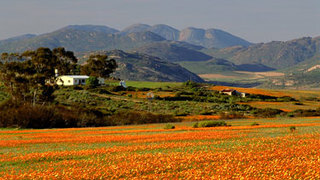 Kamieskroon is a pretty village situated on the N7 50 km north of Garies and 67 km south of Springbok. Set beneath the kroon, meaning crown, the rocky pinnacle of the Kamiesberg Mountains from which it takes its name, it really gives a feeling of being the crown of the 'Garden of the Gods'. Heading deeper into the mountains towards Nourivier and Leliefontein, you’ll be rewarded by the sight of amazing rock formations and stunning flower strewn slopes. 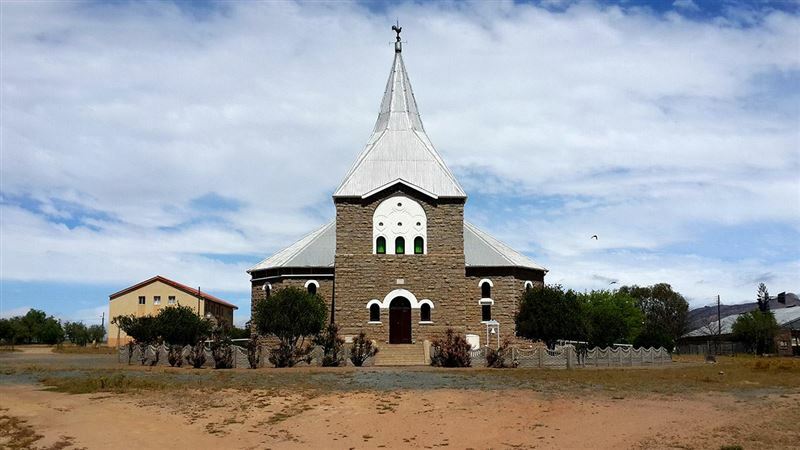 The charming old Moravian mission station of Leliefontein is the oldest village in Namaqualand and has National Monument status. Here you enter Nama community owned farmlands and you’ll find families living in matjieshuise – traditional dome-shaped huts made out of reed mats. Adventurous? Stay overnight in a matjieshuis and eat local food like asbrood en bloodpap. Contact the Leliefontein community project on 027 672 1808. 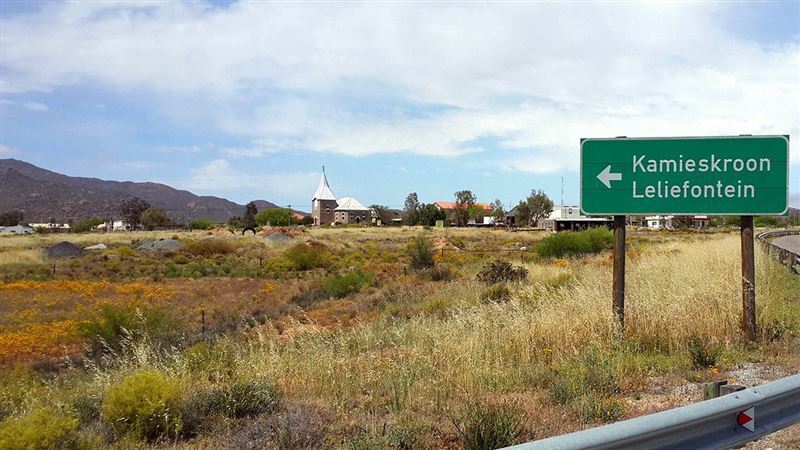 Planning a trip to the Northern Cape? A useful and inspirational book to have on the road is the Getaway Guide to the Karoo, Namaqualand & Kalahari - Out and About in the Northern Cape by Brent Naudé-Moseley & Steve Moseley, who are also the proprietors of Karoo Cottage in Loxton. 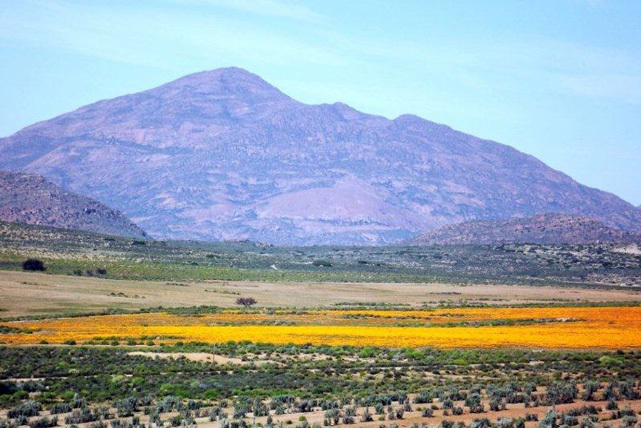 Karoo, Namaqualand and Kalahari represents not only some of the most remote areas in southern Africa, but also the most scenic and rustic on the subcontinent – a region framed by a stark beauty that provides an ideal getaway from well-trodden tourist paths. This fascinating guide provides a unique exploration of its hidden treasures, national parks and wildlife reserves. Find out where to go and what to see, sound advice on finding your way through the Karoo, Namaqualand and Kalahari as well as alphabetical accounts of all the towns, villages and stopovers, maps and the what, where and how of adventure activities. Authors Steve Moseley & Brent Naudé-Moseley live in the Karoo where they’ve spent the past ten years writing and photographing this and neighbouring regions. During this time they have developed a great love and respect for its natural and historical heritage, people and culture - all of which have opened their eyes to a simpler lifestyle and different values. 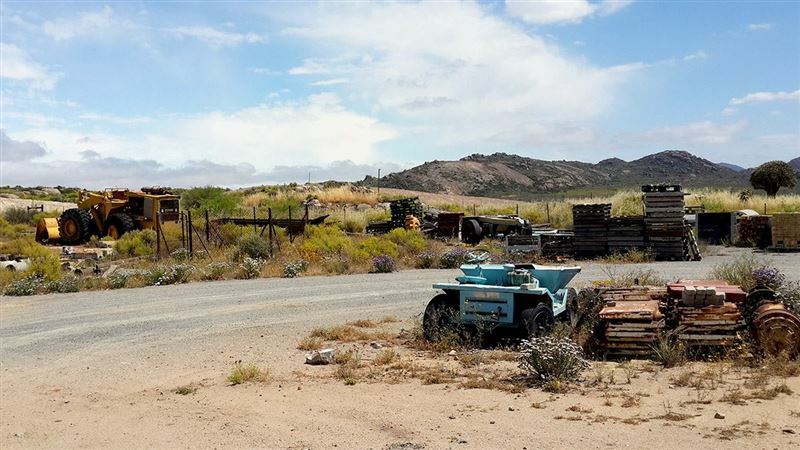 Their travel articles and images appear in local and international publications and, after years of travel and research, they have launched a unique photo library (www.karooimages.co.za) specialising in the Great Karoo, Kalahari and Namaqualand.